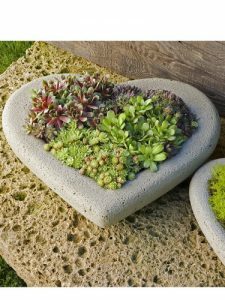 Here are Flower Chick’s 101 Top picks for the Best Gifts to Give Gardeners! They all meet my criteria: good quality, interesting, useful, and not necessarily something you would buy yourself. All are items that I would love to receive as a gift! 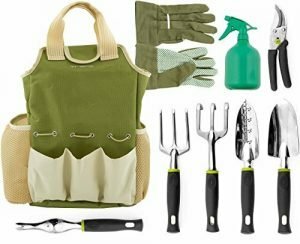 Perfect for holidays, birthdays, housewarming gifts, weddings … just about any occasion you need a gift for a gardening enthusiast. Here’s a handy, practical gift that solves a big problem … weeds! 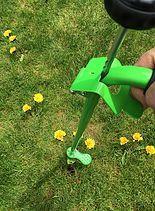 This revolutionary weeding tool is so light it can be used with one hand by adults. Kids can also use it and we bet they’ll ask to use it all the time … it’s fun! The Gardener of the Month Club is a monthly package delivered directly to the doorstep of your gift recipient. 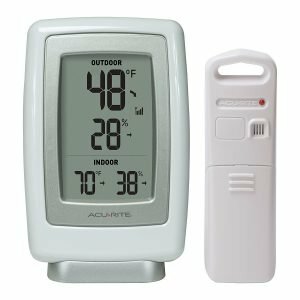 Every month, it includes a wide array of innovate tools, gardening kits, fun outdoor garden ornaments, gifts for the birds, decorative pots and planters, and more. This one of a kind gift is sure to be a hit with anyone who appreciates the sheer joy of gardening! 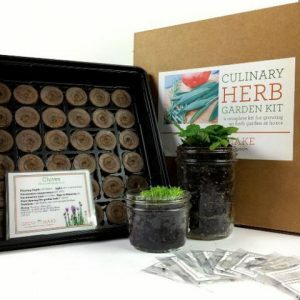 This Culinary Herb Garden Kit is fun for gardeners of all levels of experise – even youngsters! We particularly like that the instructions take you step by step through the growing process, so even if you’ve got a brown thumb gardener on your hands, their herbs will always turn out fresh, green, and delicious! Did you know there are certain vegetable plants which can be cared for like perennial flowers? 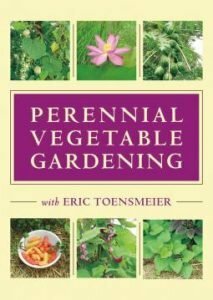 Edible perennials … who knew?? Potting soil, plants, tools, mulch, pots, planters … you name it, there’s always something which needs transporting from Point A to Point B. 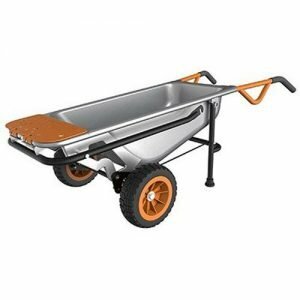 Best of all, when the work is done, the wagon folds up to just 8 inches thick, and a storage case is included! Have you ever thrown a weed pulling party? 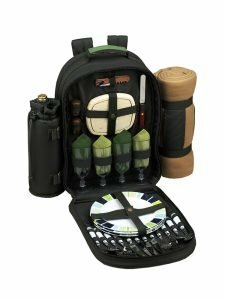 To help keep your cold drinks cold, the Eco Picnic Backpack offers an insulated detachable beverage and wine pouch to safely and securely tote your favorite beverage. And yes, a picnic blanket is included! Give this as a gift and maybe you’ll be exempted from the weed pulling and proceed right to the picnic! 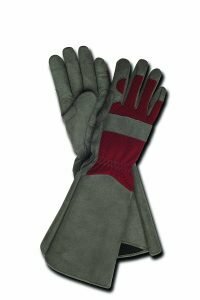 The longer length of these gardening gloves protect your forearms from scratches (and bug bites) and the knuckle guards provide added protection not only from roses, but all kinds of thorny plants. 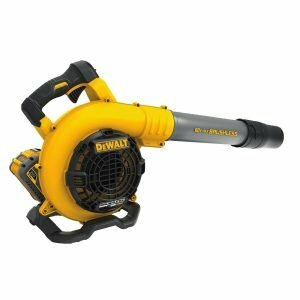 Ideal for heavy duty weed pulling too! 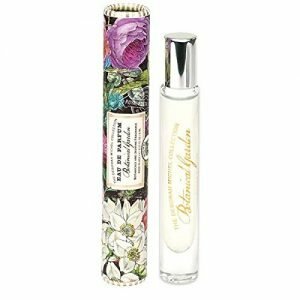 A fabulous, economical gift … every rose gardener should own a pair! 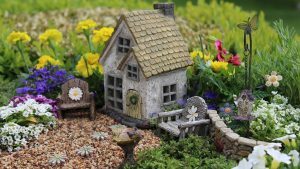 We all have a work station at our homes and places of employment, so why not in our gardens? 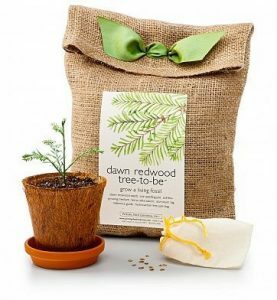 Most of these trees top off at 3-4 feet, so this is an ideal gift for small space gardeners. It’s such a joy and sense of accomplishment to grow your own fruit … not to mention a tremendous cost savings! Care Tips … These hardy little trees are remarkably pest free. They like well drained soil and they’re better off under watered than over watered – once a week is plenty. Their key requirement is sunlight – these trees do best when placed in a sunny window, four seasons room, or enclosed patio. 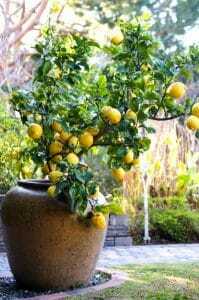 You can even place your indoor citrus tree outdoors for a few months in the warmer weather … they’ll appreciate it! As an added bonus, indoor fruit trees are very affordable – they’re only about $20 each delivered! People have a special connection with their dogs, and dogs love to let their personalities show. 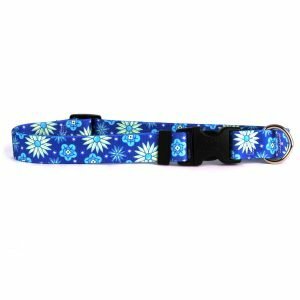 If you or someone you know is a dog lover, why settle for a dull, drab collar? 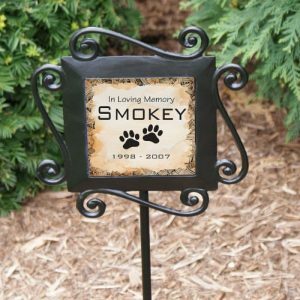 Dogs are such an important part of our lives. They love to look good, and they’ll love showing off a brand new collar! Just add it to your watering can as directed and those brown spots will disappear in a day or two. Any gardener who’s also a dog owner will thank you! 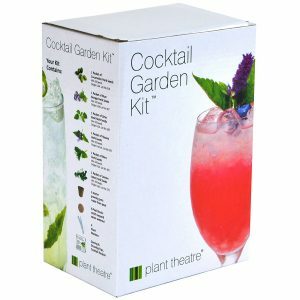 And with that theme in mind, here’s a gift idea that encompasses both gardening and cocktail hour .. 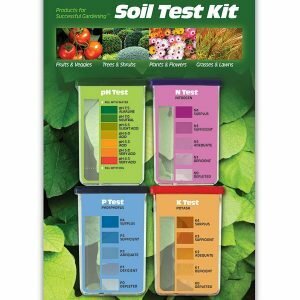 This popular Soil Test Kit takes the guesswork out of understanding soil conditions. The kit includes ten test for each of four different factors … nitrogen, pH, phosphorous, and potassium. An understanding of these factors allows you to fertilize more efficiently and economically. 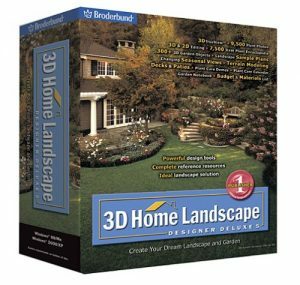 This helpful kit includes comparison charts and soil condition preferences for almost 500 different plants .. 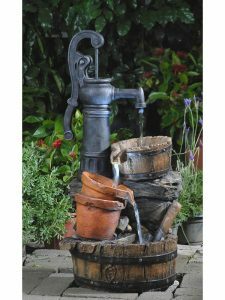 Experienced gardeners know the value of rain water for their plants … in addition to saving money on their water bills! 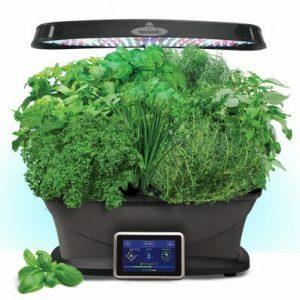 Compact enough to fit on a kitchen counter top, these revolutionary indoor gardening systems are designed to grow herbs, plants, and vegetables all year around indoors. Each unique system comes with its own LED grow light to ensure perfect lighting conditions and maximum growth and harvest. There’s no soil or mess … this is a hydroponic system … so the plants grow in water. 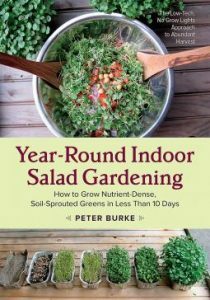 Use the included nutrient packs and you’ll be harvesting your herbs and vegetables in four to six weeks. Fun, educational, and economical! This planter is available in a selection of different color patinas, making each piece a distinct original. It will age beautifully and naturally in any outdoor environment. 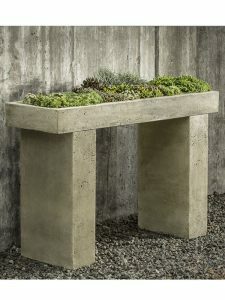 For convenience, the pavia planter comes with a pre drilled drainage hole. Add garden soil, plants, and sit back and enjoy! 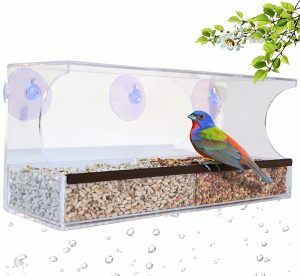 This heavy duty, attractive feeder is crafted from high quality stress tested metal and glass so it won’t chip or break like cheap plastic hummingbird feeders. 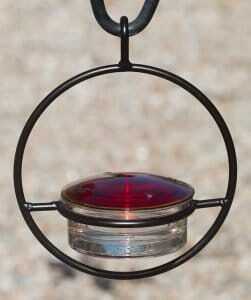 They’re 100% guaranteed to attract hummingbirds – just fill with nectar and sit back and watch the fun! Did you know bonsai trees are extremely easy to grow? 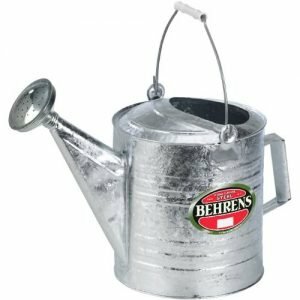 Every gardener owns a watering can … but do they own a good watering can?? Yes, your gift recipient probably already has a watering can … but wouldn’t it be nice to give them an upgrade?? 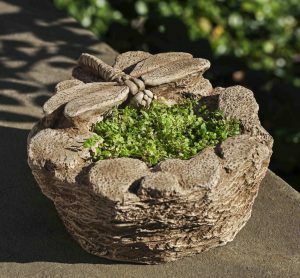 You’ll love the rustic, natural look of the basket – they’re made from old tobacco sticks once used to spear and harvest tobacco leaves. Each basket is hand made and no two are totally alike! 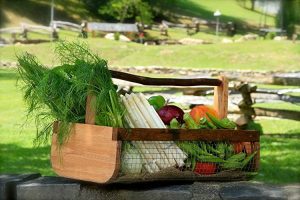 Some of most prominent advances in gardening have come about in the field of indoor gardening … tasks and harvests thought to be impossible years ago are now regularly coming to fruition. Many of us don’t have the luxury of large gardens, so it’s imperative to use every foot to its potential. 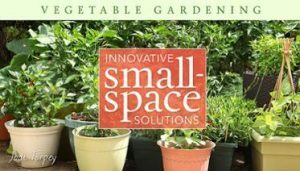 With that in mind, we’re so pleased to introduce you to these practical and approachable online courses on a variety of gardening topics … the first we’d like to tell you about is Vegetable Gardening: Innovative Small Space Solutions. 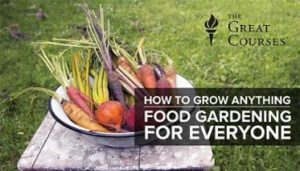 You’ll also learn which vegetable plants work best in specific sunlight conditions, tips to create free fertilizer from kitchen scraps, and much more. Included are downloadable class resources to stay organized and you can watch from any device at any time! A fantastic gift … even for yourself! 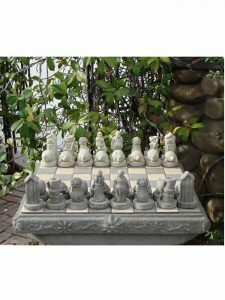 Perfect as a housewarming gift for the serious gardener! Pesky and prevalent, mosquitoes have an uncanny knack of putting a damper on summer evening gatherings. To help solve the problem, take a look at this eco friendly mosquito repellent candle. 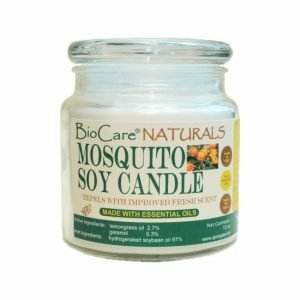 This soy candle burns for 60 hours and emits a pleasant lemon grass aroma, which people love but mosquitoes hate! Keep the invited guests happy and comfortable … and keep the mosquitoes out! Well, that didn’t work out too well. The end result was an old beat up pair of tennis shoes that ended up soggy, muddy, and drenched! 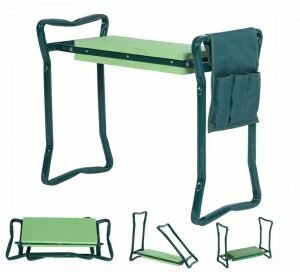 Clearly, a better solution was in order and I’m pleased to showcase them on our 101 Best Gifts For Gardeners List. These shoes are perfect for gardens that sometimes get muddy, i.e. 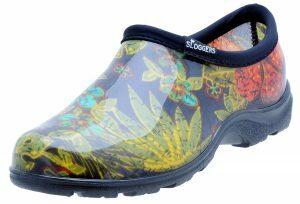 every garden, and they’re super comfortable for jobs where you’re on your feet all day (nursing, customer service, etc.). They’re even a comfortable pair to slip into around the house! It’s great to give your feet and your tennis shoes a well deserved break! Best of all, the large removable easy latch door makes it a breeze to fill and empty! 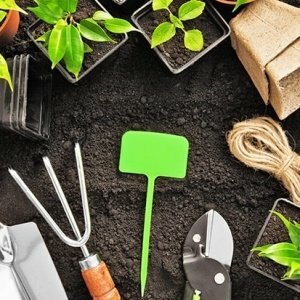 Are you looking for a gardening themed wedding gift? Or maybe just a gift for someone who holds a special place in your heart? 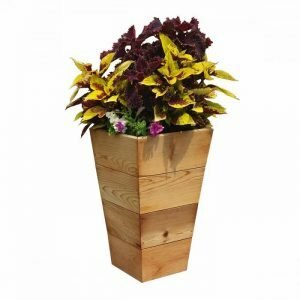 An excellent choice for ornamental trees, plants, or even herb gardens, this patio planter adds a natural touch to your outdoor living space. It arrives fully assembled and ready for years of use! One of the most frustrating issues for outdoor gardeners? 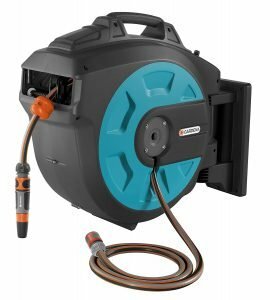 I’m pleased to tell you about this retractable hose reel with convenient hose guide. Featuring a convenient wall mount capability, the hose organizer eliminates the need to bend and crank the hose when you’re finished watering. A great housewarming, wedding, or gift for your favorite young couple, this convenient hose organizer takes the angst out of garden watering tasks! If you find yourself needing to extend the growing season, your solution is here! 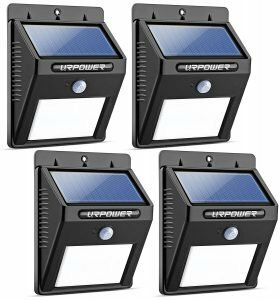 Looking for a gift idea that’s 100% practical and 100% economical? 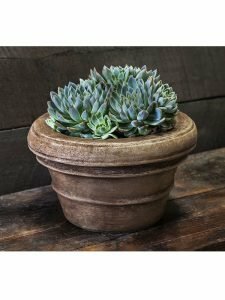 A great gardening gift for less than $20! 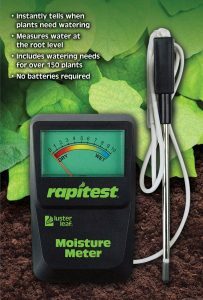 We like using this indoor soil moisture tester to see if our houseplants are in need of a cool drink. A practical gift every gardener can use … and a gift probably every gardener doesn’t own! Kneeling and moving around in the dirt can be tough on your knees, especially as we move through life (get a little older 🙂 ). These colorful, long lasting garden knee pads save the day … and your knees! Available in both medium and large sizes, these personalized garden knee pads come in three different designs … circles, hearts, or flowers. Personalize with your gift recipient’s name and and you’re good to go! Well now there’s a true statement if I ever heard one! A good looking t-shirt, it’s available in several different colors like light blue, grey, brown, and an eye catching purple. The shirt is 100% pre-shrunk cotton and features double stitched sleeves and bottom hem. 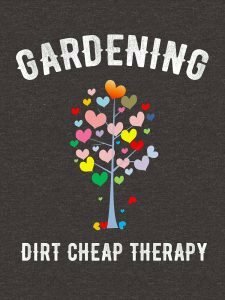 There’s all sorts of other gardening related sayings available too! As a birthday or special occasion gift, you can’t go wrong! 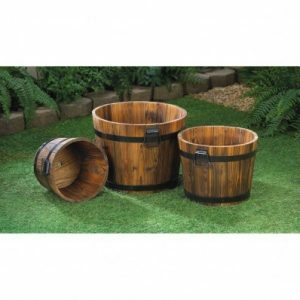 We love the weathered, rustic look of whiskey barrel planters, but this set has a distinct advantage … the barrels aren’t falling apart! 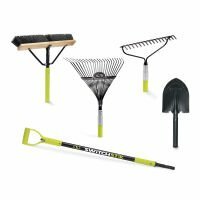 This clever set is a 4-In-1 set consisting of a leaf rake, push broom, heavy duty shovel, and garden rake. To switch between tools, simply snap on your tool of choice to the 42 inch handle shaft. A very cool idea! The kit also includes hanging hardware so you can keep the tool heads organized for easy access. A life saver for small space gardeners! 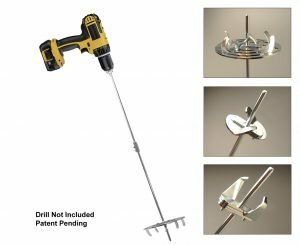 Also included is a “Weed Out” attachment that quickly and easily purges weeds by the roots … no more bending and straining! 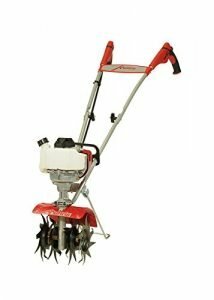 Everything you need is included … a tilling head for tilling and aerating, a hole digger for effortless planting, and the weeding attachment. 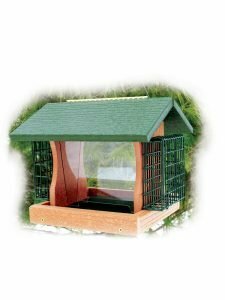 Attract a wide variety of birds to your garden, including finches, cardinals, chickadees, and more! 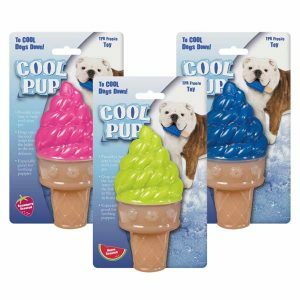 Cool Pup cooling toys are designed to be filled with water and frozen. The small holes in the toy allow your dog to combine a satisfying chewing session with cool icy water to cool them down. Cool Pup is durable, long lasting, and fun scented with three different fruit flavors! 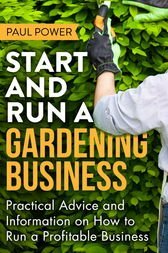 Instantly downloadable and viewable on your I-Pad, desktop, or any mobile device, this handy, economical e-book covers the gamut, from selling your own home grown plants to running a year around full time gardening business. An interesting topic, and one that might turn on a light bulb! 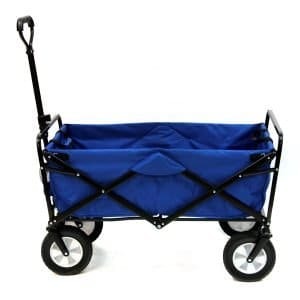 Featuring durable, all steel construction with a weight capacity of 300 pounds, this versatile cart converts (tool free) to a dolly, flower pot mover, trailer puller, mulch bag carrier … whatever you have in mind for it to do! Great as a housewarming gift! 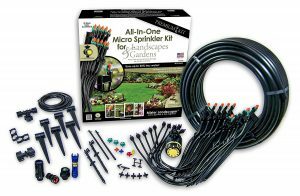 A set it and forget it watering solution for even the most complex gardens! Designed to handle heavy duty tasks in tight spaces, the lightweight combo tiller and cultivator shown above is just the ticket. Remember … to do the job right, you need the right tools! 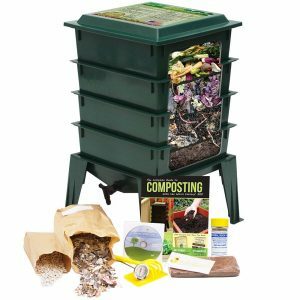 The Worm Factory Composter provides an ultra convenient odor free mechanism to turn your household waste into nutrient rich organic fertilizer for your plants. This long lasting easy to apply lotion nourishes your skin with each application and a little goes a long way. I’ve been using this lotion for decades – it’s super high quality and I love it! So go ahead and play in the dirt … just don’t let your hands show the evidence! 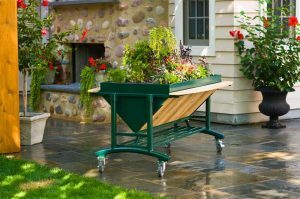 Durable and good looking, the elevated rolling garden offers 12 square feet of gardening space with room for over a dozen plants. 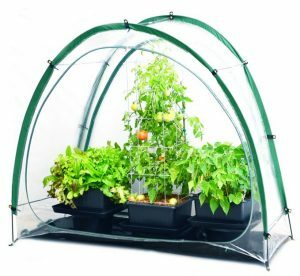 Grow vibrant flower displays or a healthy vegetable crop all in one convenient portable garden! 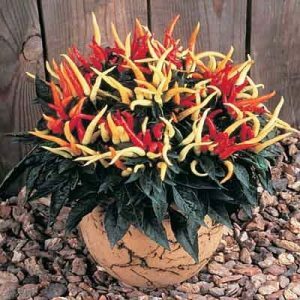 If that’s the case, this colorful ornamental finger pepper plant is just the ticket! The low maintenance pepper plant will do well in traditional garden beds to add texture and color, or in a planter to enjoy year around. A vibrant, colorful addition to anyone’s garden! 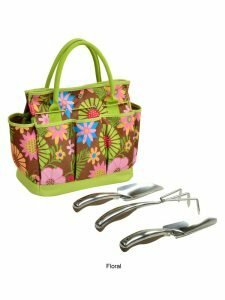 The 3-Piece Gardening Bundle is not only a fun gift, it’s practical too! 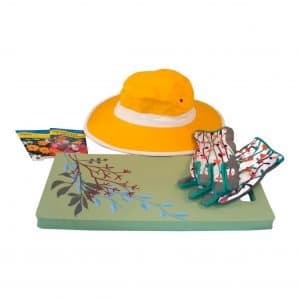 The bundle contains a wide brim hat (choice of butterscotch or beige) to keep the suns rays at bay, print gardening gloves, and a colorful gardening themed knee pad. We love the cheerful floral colors! As a special bonus, the bundle contains two packs of wildflower seeds to add a dash of color to your garden landscape! 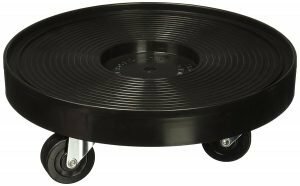 The stand itself is very lightweight (12 pounds) so it’s easy to move around, yet it’s constructed from very durable steel coated wire. 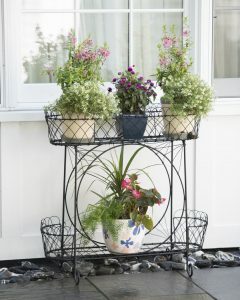 This plant stand assembles in minutes and we love that it frees up space on your counter tops and tables! Combine Gardening And Happy Hour! 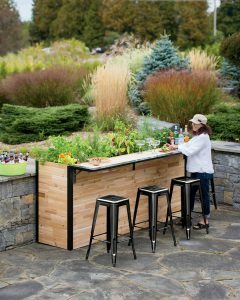 This one caught our eye since it combines two of our favorite leisure time activities … gardening and happy hour! 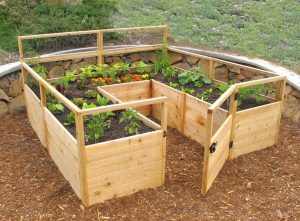 Made in the USA from sturdy and long lasting reclaimed cedar wood, the top planter is perfect for growing a selection of plants, vegetables, or herbs. Imagine preparing your favorite cocktails from ingredients harvested right on the spot! Complete the party with your selection of bar stools, sold separately, and you’re all set! 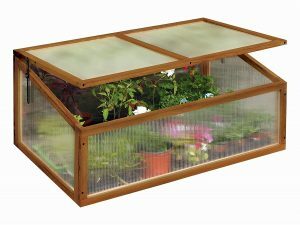 Affordable and very practical, think of it as a four season room for growing plants! 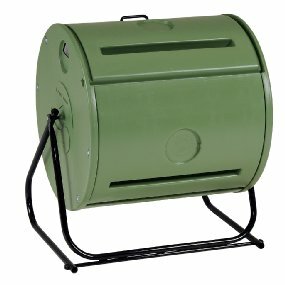 The planter includes five heavy duty 18 inch diameter pots which allow you to grow multiple plants or vegetable crops in a small space, either indoors or outdoors. The design is smart and efficient – the self watering pot can be placed at the top. All you do is water the top pot and the rest are watered as well! 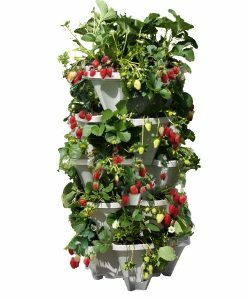 Proudly made in the USA, this planter allows you to simplify your gardening life … simply plant and stack! We love this clever gift idea … in no small matter because of how much we hate mosquitoes! So why not repel them naturally by growing plants mosquitoes hate? 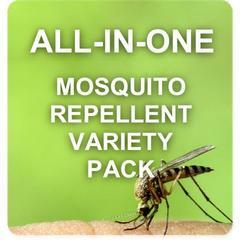 The pack includes an assortment of seeds for 15 plant varieties proven to ward off mosquitoes. 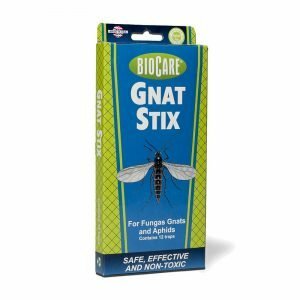 Instead of relying on chemical laden sprays or noisy bug zappers, combat them naturally! 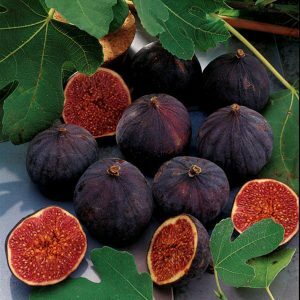 Not only will you enjoy a mosquito free garden, you’ll also reap the culinary benefits of many of these beautiful plants! 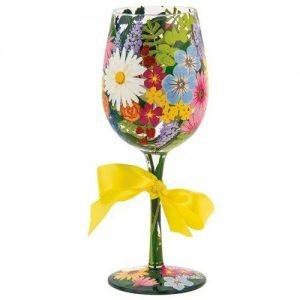 Check out this wildflowers hand painted wine glass … it’s the most colorful wine glass we’ve ever seen! The glass holds an extra generous pour (15 ounces) … happy gardening and cheers! 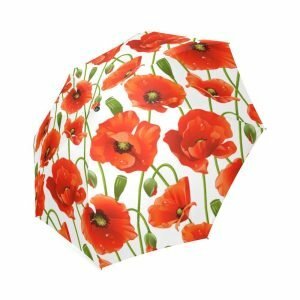 Sometimes the rain might put a damper on gardener’s moods, but not when you’re carrying this one of a kind colorful umbrella! This foldable umbrella is made from 100% waterproof fabric and contains eight strong aluminum ribs for extra strength … and it folds up small but opens up big. It opens to a generous 25 inches high and 43 inches wide – enough to keep two gardeners dry! You’ll know exactly what to do, and when, simply by following the monthly road map, from planting to harvest. 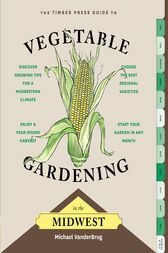 The definitive guide to vegetable gardening in the Midwest! 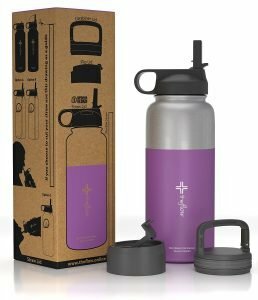 Designed to keep cold beverages cold, this double walled insulated bottle comes with three different caps – wide and narrow mouth caps and a straw cap. No matter how you like to enjoy your drink … you’re covered! The stainless purple model is shown, and it’s also available in blue, red, and yellow. 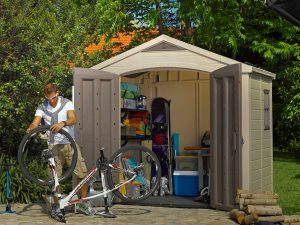 We love the looks and practicality of this sturdy outdoor garden storage shed, and think it’s an excellent housewarming gift idea for someone on your list or even yourself! 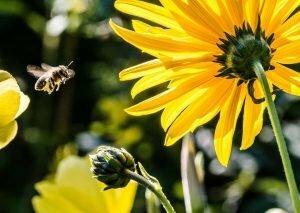 The variety pack contains an assortment of fifteen popular seed varieties for flowers known to attract helpful bees. Included are attractive flowers like Borage, Cardoon, Lavender, Lemon Mint, and more. 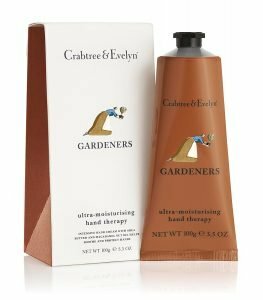 Any gardener who has done pruning knows it’s hard work … especially on the fingers and hands. 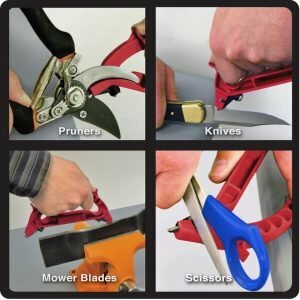 Blisters and callouses are part of the territory when pruning your roses, bushes, and trees ..
We were introduced to this hand pruner with rotating handle by a gardening colleague and we couldn’t be more pleased. It’s so easy and convenient to use that we actually look forward to pruning! 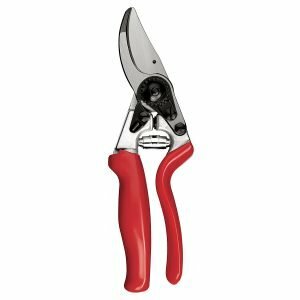 We especially like the ease of replacing blades and the narrow point design, making it easy to do close pruning (handy for roses!). What type of rain patterns do your plants like best? Light mist, steady, a good soaking rain? 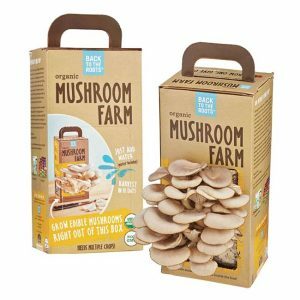 A fun project for kids of all ages, this unique grow your own mushrooms kit yields a bountiful crop of fresh oyster mushrooms in just ten days! Featuring certified organic ingredients, the Mushroom Kit is as simple as placing your kit on a window sill, misting daily, and harvesting. Each kit yields up to four crops of mushrooms … perfect for salads, elegant dinner recipes, and more. Made in the USA, this clever gift idea will yield mushrooms all year around without bother, mess, or foraging. Economical and a lot of fun! 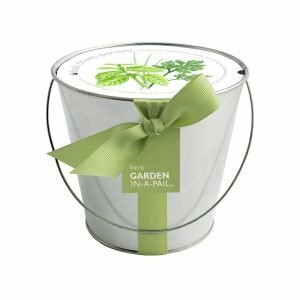 Featuring a recycled galvanized steel pail that’s small enough to fit on your kitchen counter or window sill, the Garden In A Pail contains all the ingredients you need to grow fresh culinary herbs … right in the pail! 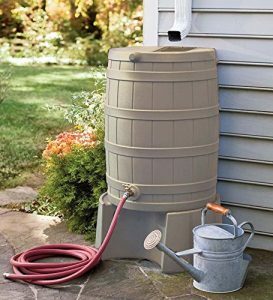 The pail measures about six inches high with a six inch diameter so it will fit nicely just about anywhere. Any window that’s light and bright is perfect … you’ll have your own herbs for harvesting within a few short weeks or less! 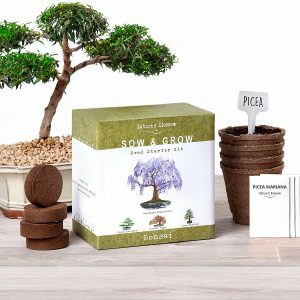 A perfect gift for beginning gardeners or even someone with a brown thumb … the process is simple and easy, and the results are wonderful! 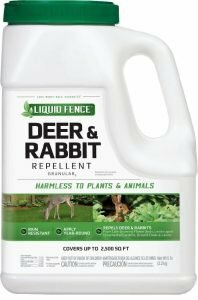 Liquid Fence is harmless to plants and other animals, and it dries odorless. It’s rain resistant and long lasting too, which is why so many experienced gardeners swear by it. Sometimes experience and a little persistent experimentation is the answer! 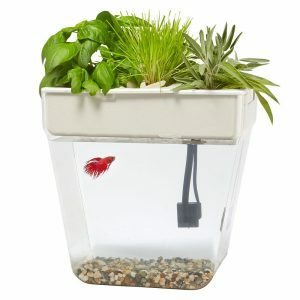 It’s a self cleaning fish tank that also grows organic herbs and sprouts … appropriately enough it’s known as the Water Garden and it includes everything you need to enjoy a table top eco system! Unlike other aquariums, the water in the Water Garden never needs changing. The natural waste produced by the fish is pumped up to the plants and broken down into helpful nutrients, helping them thrive naturally. The Water Garden includes a three gallon fish tank, gravel, organic seed, grow stones, a silent submersible water pump, natural fertilizer, fish food, and a coupon for a Betta fish. Comes with a complete 100% satisfaction guarantee! Know a guy who loves getting rid of leaves, grass, and dirt off driveways and sidewalks around the garden? A great gift idea that’ll last for decades of use! Any Led Zeppelin fans out there?? 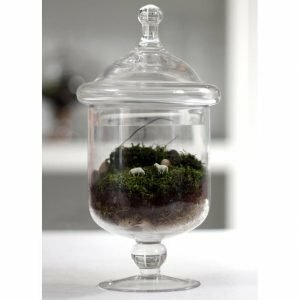 The recycled glass jar terrarium stands about ten inches tall and six inches wide and includes moss. It’s fully assembled and even includes two grazing sheep! Dogs are special creatures. Their loyalty knows no bounds and all they want is to make you happy. Even when you’re having the world’s worst day, they’re happy to see you! 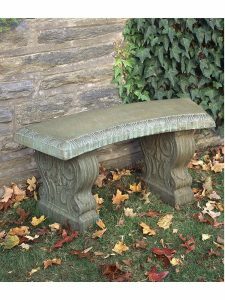 Suitable for any outdoor garden space, this durable classic garden bench is individually crafted from stone and features detailed scroll art on each leg. The traditional design and fine craftsmanship will make this piece a treasured hand me down from generation to generation. 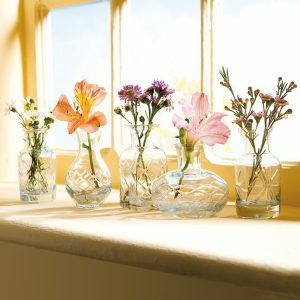 Each piece is a beautiful original – it makes a perfect wedding or housewarming gift! A very practical gift idea for the gardener who likes to move things around … and isn’t that most of us?? 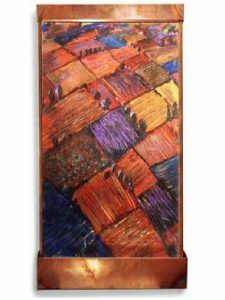 A very nice housewarming or wedding gift idea! A vertical garden concept, these wall units use a patented “smart soil” technology to integrate indoor gardening into any home or office indoor space. 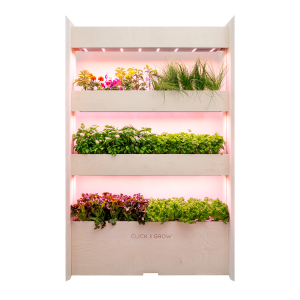 Choose from a selection of four planting packages … salad, herb, flowers, or tea kits and start your very own indoor vertical farm. 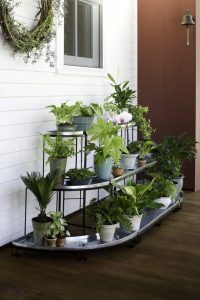 As you can see from the image shown, the set up resembles a modern style bookcase, except instead of novels and best sellers, you’re boasting a thriving indoor farm! Did you know you can easily create healthy, satisfying snacks at home using your very own fruits and vegetables? Complete detailed instructions are included, along with hundreds of suggestions for how to use the Pro Dehydrator. 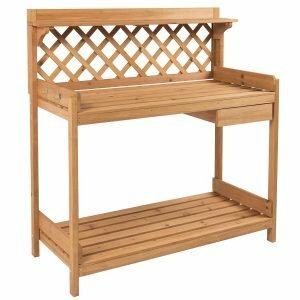 It includes six spacious adjustable stainless steel drying racks to give you plenty of room to accommodate a wide variety of herbs, fruits, meat, vegetables, and more. Everything you need to create your own array of healthy snacks is included. 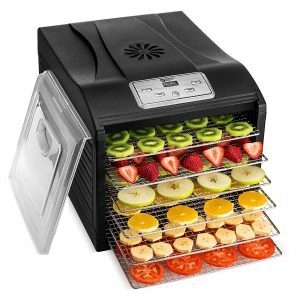 From dried fruit slices to preserving herbs to chewy beef jerky, this little powerhouse does it all! Give the gift of smooth, healthy ageless skin! 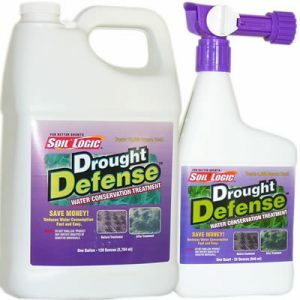 Attach Drought Defense to your garden hose and spray dry spots, hilly and run off areas, or any location in need of soil conditioning and improved water retention. 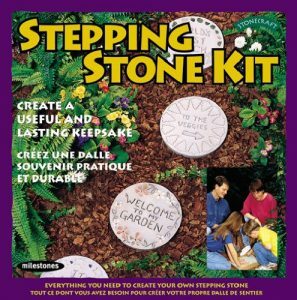 A great gift idea to help children connect with nature! Do you know someone passionate about their roses? 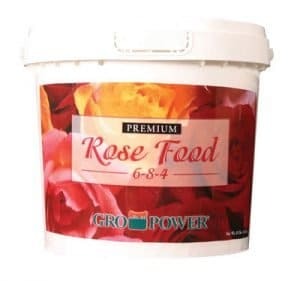 Made from a combination of organic ingredients, this rose food contains essential elements critical for rose health and vitality. Magneseum, iron, humus, and controlled release nitrogen combine to ensure your rose garden remains your pride and joy! 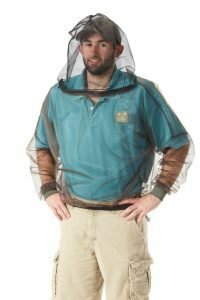 Comfortable, durable, and easy to take on and off, this protective clothing protects the head and upper body from insects. The seamless hood provides clear 100% visibility, and best of all, no chemicals! Still haven’t found a gift idea that hits your sweet spot? Let your gift recipient pick out their own gift with a gardening gift certificate. It might not be as much fun to give, but it sure is fun to receive!! This site / Jim Hofman is a participant in the Amazon Services LLC Associates Program, an affiliate advertising program designed to provide a means for sites to earn advertising fees by advertising and linking to amazon.com.